Career Opportunity for QSNCC sale jobs. We are currently looking for new members to join our growing team. Applying during 25 Apr – 10 May 2016. See how an MBA at Japan’s leading business school can launch your global career! 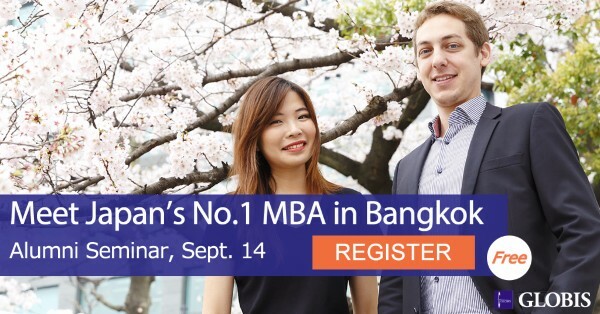 GLOBIS University invites you to meet its Thai alumni at a seminar in Bangkok on Wednesday, September 14 to hear first-hand how an MBA in Tokyo can be a launchpad for your global career. GLOBIS University All Rights Reserved.